other Required Machineries and ancillaries to set up the Project are as well supplied. Machineries are available for any size and with semi auto or auto options. Product : Mineral water,juice,milk etc. AGUAPURO also offers wide range of ECO series Bottled Mineral Water Plants / Packaged Drinking Water Plants in compliance with BIS guidelines. Our range of Water Treatment Plants is ideal for usage in processing Bottled Mineral Waters, Packaged Drinking Water, Carbonated & Non-Carbonated Soft Drinks, Beverages and Juices, etc. AGUAPURO offer various capacities ranging from 2000 Bottles per Hour for 1000 ml bottles and 100 Jars per hour up to very high capacities. 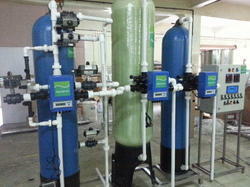 Water Plants are vaialable from 500 LPH...to 100,000 PH and more. These systems comprises of Systems same as of Premium Series with the difference in Material of construction of vessels, Piping, skid etc. FRP vessels are used in place of Stainless Steel. Instead of PVC Piping and Skid in Mild Steel, Stainless Steel 304 Piping and Skid is offered as an optional. 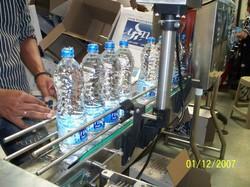 AGUAPURO have supplied Plants to most of the Leading Brands like BISLERI, BAILLEY, FOSTER, CLOUD9, SUNRICH etc. etc. Our organization has gained recognition as a flourishing organization for providing a broad assortment of DM Plants. The given product works on ion exchange process which removes mineral salts from the water. It is highly acknowledged in the market due to its high strength, abrasion resistant nature, accurate dimensions, and rigid construction. Our offered product is stringently checked on various parameters to meet the industrial guidelines. In addition, customers can get these at pocket-friendly rates. 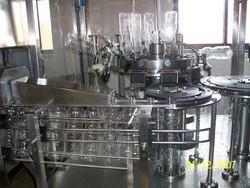 Looking for Packaged Drinking Water Plants ?